The North African campaign was a long struggle with major advances and retreats. Eventually the success of the Allied forces at El Alamein in November 1942 ensured their victory, which was not finally achieved until May 1943. The cost to New Zealand was heavy – 2,989 killed, over 7,000 wounded and over 4,000 taken prisoner. 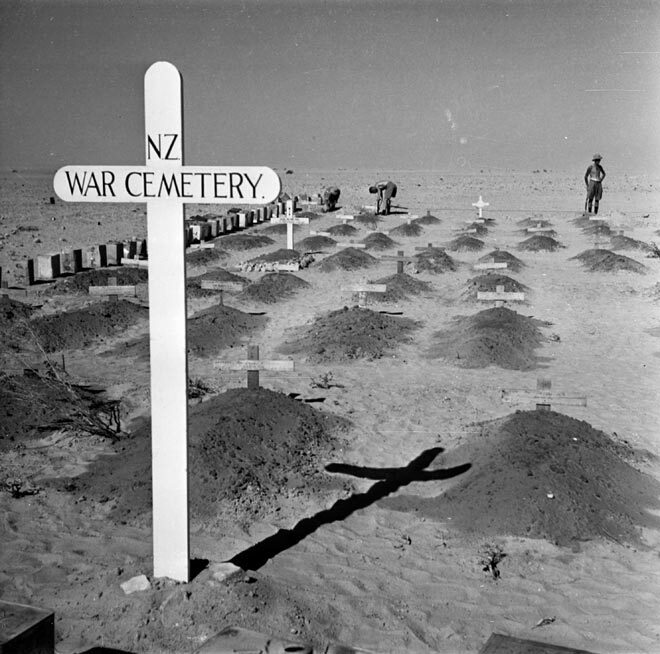 This is the New Zealand war cemetery near the El Alamein front in 1942.